Villabassa was first mentioned in the documents in 994 as „Nidrindorf“ and is embedded in the beautiful Alta Pusterial valley. Already 150 years ago Villabassa was one of the favoured holiday-destinations of South Tyrol, definitely due to the good railroad connection, which was already running at that time. During an excursion through the streets and alleys one should visit the museum Haus Wassermann, where the history of tourism from the beginning until today is documented. It was originally owned by the noble men of Kurz and later it became private property of the family Wassermann. Don’t neglect to visit the charming churches and chapels, such as the parish church Hl. Stephanus and the Annachapel, the Deathchapel or the church Hl. Dreifaltigkeit. Holidays in the mountains of South Tyrol! 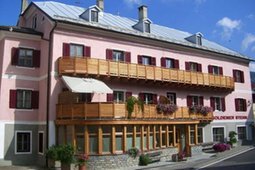 This is a place of relaxation and tranquility in the heart of Villabassa in Alta Pusteria. For 30 years Apartments Hofer has been offering relaxing holidays for families and all those stressed by everyday life. 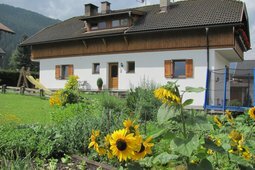 Leave your everyday life for a few days and spend the most precious time of the year, your holidays, at the farmhouse Stifterhof. The farm is located just outside the village of Villabassa, surrounded by green meadows, in a sunny position. Welcome! No matter whether you are visiting for the first time or are one of the many regular guests, you will be delighted by the beauty of the nature to be found here in the midst of the Dolomites. Holidays at the Kühbacher Guesthouse are always a great experience! 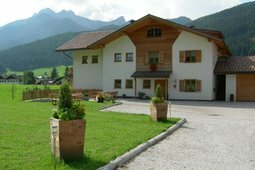 A warm and friendly welcome to the Hoferhof in the Dolomites. The farm is located in the center of Villabassa, in a sunny and quite position at 1154m above sea level. At the Hoferhof you will feel at home, even if you are far away - every day a new adventure is waiting for you! 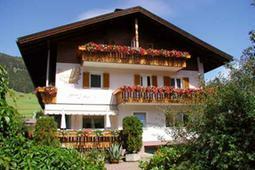 The Garni B&B + Appartments Helvetia with its luxury apartments in Villabassa is pleased to welcome you all year round. 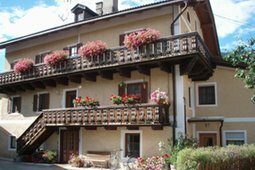 The house is located in the village of Villabassa, in the region of the 3 Peaks, close to Dobbiaco and just 12 km from the Lake of Braies. 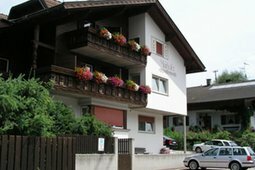 The apartment house Mairhofer is located in a very quiet and sunny position, far from the main road, but close to the center of Niederdorf. 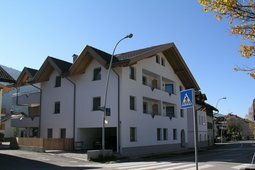 The apartments of Residence Mairhofer are all comfortable and feature separate living and sleeping areas, shower, balcony and lawn. The apartments Marlena are located in an area of low traffic in the village Villabassa. At the guests' disposal there are modern two or three rooms apartments, all with separated living and sleeping areas, shower and balcony. House Schmiedhofer is situated in a central, but quiet position. The cozy rooms can be booked with or without breakfast. All rooms are equipped with satellite television and a bathroom with washbasin, hairdryer, shower, toilet and bidet. 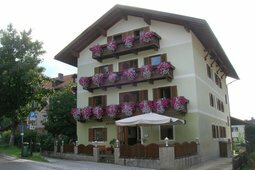 The apartment house Goldener Stern is located just a few steps from the beautiful centre of Villa Bassa and close to the museum Haus Wassermann. Goldener Stern was originally an inn of the Counts von Kurz zu Thurn and boasts a more than four hundred years of history.